The Ta’an Kwäch’än take their name from Tàa’an Män (Lake Laberge) in the heart of their traditional territory. Their ancestral lands extended north to Hootalinqua at the confluence of the Yukon and Teslin Rivers, south to Marsh Lake, west to White Bank Village at the confluence of the Takhini and Little Rivers, and east to Winter Crossing on the Teslin River. 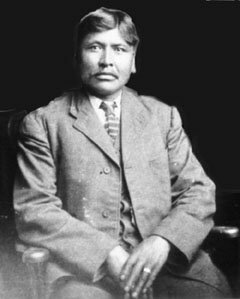 In 1900, at the height of the Klondike Gold Rush, Chief Jim Boss (Kishxóot) of the Ta’an Kwäch’än recognized that his people needed protection for their land and hunting grounds in the wake of a growing non-aboriginal population. 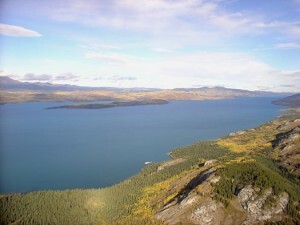 Chief Boss petitioned the Commissioner of the Yukon, William Ogilvie, for a 1,600 acre reserve at Tàa’an Män, which he had already surveyed. Instead, a reserve of only 320 acres was granted. Not satisfied with the outcome, in 1902 Chief Boss, with the help of a lawyer, wrote to the Superintendent General of the Department of Indian Affairs in Ottawa, demanding that over-hunting by newcomers be controlled and that his people be compensated for lost land and the impacts on wildlife. This letter contained his famous quote “Tell the King very hard we want something for our Indians, because they take our land and our game”. The only response Chief Boss received was that the police would protect his people and their land. In retrospect, the exchange of letters represents the first attempt at land claims negotiations in the Yukon and, during the early decades of the 20th century, Chief Boss remained one of the most influential and outspoken leaders of Yukon Indian people. In 1956, the Department of Indian Affairs unilaterally decided that there were too many Indian bands in the Yukon Territory and, for administrative purposes, joined six bands into three. 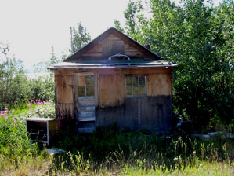 For one, this brought about the amalgamation of the indigenous people living between Marsh Lake and Lake Laberge who, for various reasons, had migrated into the larger Whitehorse area. Here, the Department of Indian Affairs created the Whitehorse Indian Band, known today as the Kwanlin Dün First Nation. On 14 February 1987, the Ta’an Kwäch’än re-established themselves as a distinct First Nation. 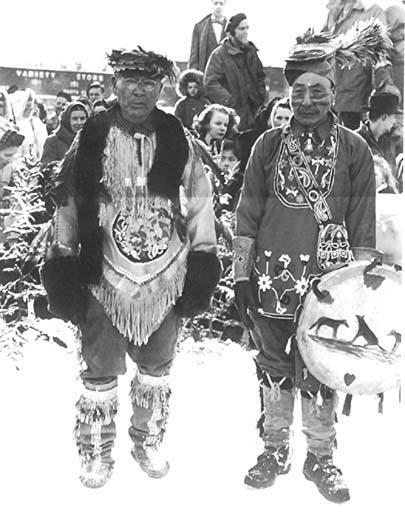 The Council for Yukon Indians (now the Council of Yukon First Nations) recognized the Ta’an Kwäch’än Council in 1987, followed by the Department of Indian Affairs in 1998. Linguistically, the Ta’an Kwäch’än are affiliated with the Southern Tutchone Tribal Council. The Ta’an Kwäch’än comprise people of Southern Tutchone, Tagish and Tlingit descent. Approximately 50 per cent of the Ta’an Kwäch’än citizens now live in Whitehorse, Yukon Territory, with the balance disbursed throughout the rest of Canada, in the United States of America (mostly Alaska), and abroad. Negotiating a comprehensive land claim with the governments of Canada and Yukon, the Ta’an Kwäch’än Council signed its final and self-government agreements on 13 January 2002 and became a self-governing First Nation on 1 April 2002. Under its land claim, the Ta’an Kwäch’än traditional territory covers approximately 12,079 sq km, of which 796 sq km are designated as settlement lands. The Government of the Ta’an Kwäch’än Council, in accordance with its Constitution, is comprised of the General Assembly, the Board of Directors, the Elders Council, the Youth Council and the Judicial Council. Ta’an Kwäch’än citizens elect a Chief and Deputy-Chief every three years. The headquarters of the Ta’an Kwäch’än Council are located in the City of Whitehorse, Yukon Territory.